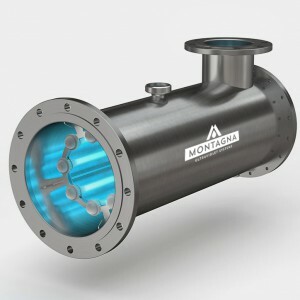 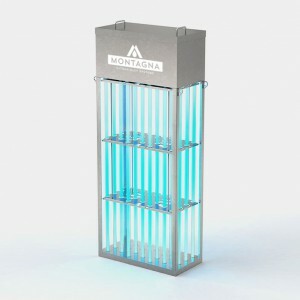 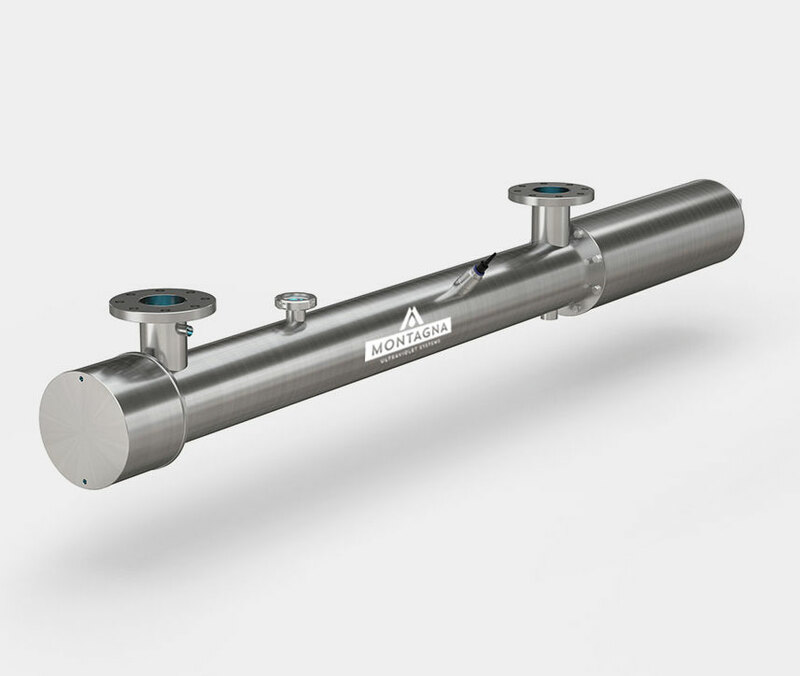 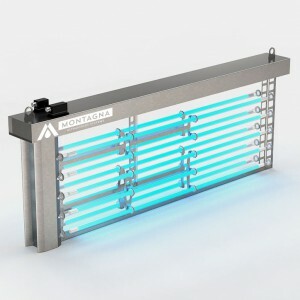 Specifically designed for treating fluids with very low transmittance, the “System”(“S”) line is able to transmit the ultraviolet radiations through fluids usually impenetrable by almost all the UV equipment available on the market. 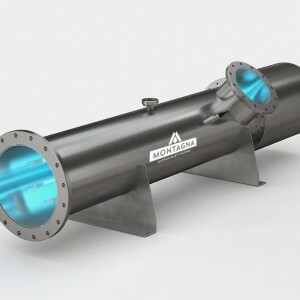 The System line bases its performance on a particular geometry inside the UV vessel that forces the fluid to pass several times through the thick maze of lamps as a “thin film”, due to a complex system of internal deflectors. 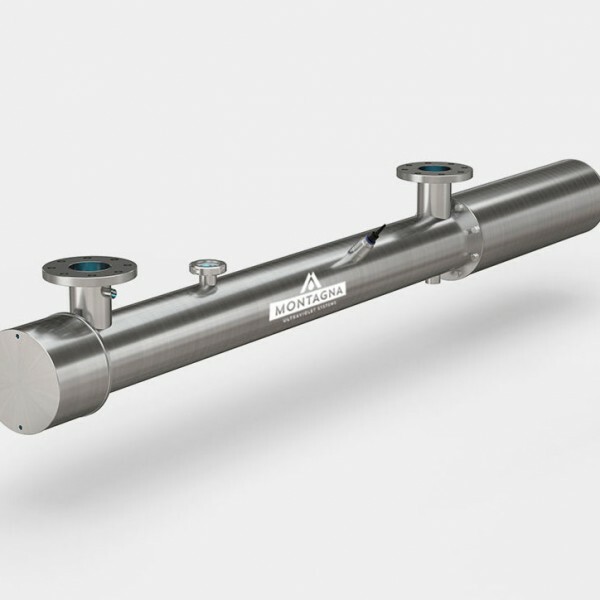 The reaction chamber built in stainless steel AISI316L, the automatic quartz wiping system managed by the PLC are specifically designed for industrial applications. 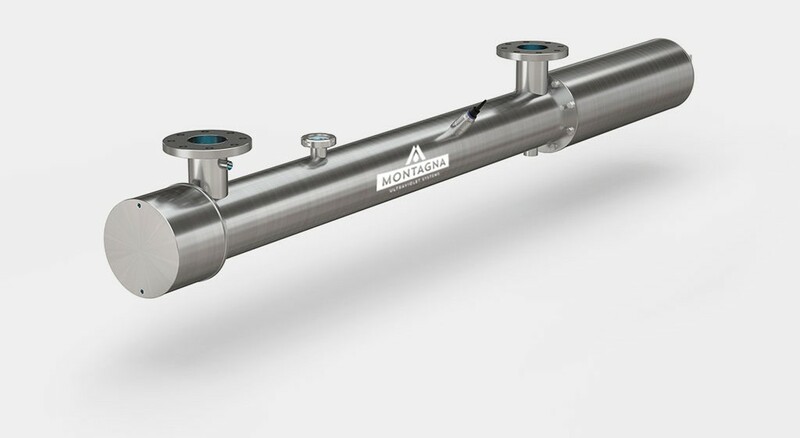 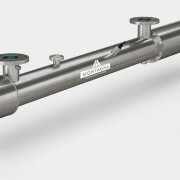 The equipment of the System line is among the few on the market that can treat fluids with very low transmittance, allowing their disinfection and use, in several fields of application, as the food & drinks sector, or to extend the life time of liquids used for industrial applications.